Recently, GoDaddy has started to offer a service known as “SiteLock”. What is SiteLock? It’s a general security system that helps prevent Malware from hitting your website along with a few other standard ‘attacks’ that hackers and malicious users might try to use. This includes attacks that fake credentials, tricking your website into letting them into secure pages, or making your site obey commands that it wasn’t made for. These kinds of attacks can give someone access to your server, your database, and/or customer and user data that they wouldn’t otherwise be able to find. You aren’t completely safe with just SiteLock! Having protection for your website and server is important for both you and your customers/users. There are a lot of facets to any modern website, and a lot of those different facets need to be guarded from different kinds of malicious use. SiteLock is a very specific program that helps with database and internet traffic issues. It often helps mostly with MySQL and PHP, two parts of most websites. However, it does NOT help against attacks against WordPress. It isn’t a firewall. It won’t prevent other viruses or attacks that use plugins or other vulnerabilities. WordPress Theme and Plugin Updates- These updates patch vulnerabilities and add more features. Backups- In case there is some attack or issue that harms your site, regular backups can bring it up quickly. Specific WordPress Anti-Virus and Malware protection- This helps with WordPress, not just your database! Login Security- We can help keep track of what specific computers log into your site as an admin, and automatically bar anyone that isn’t you. Secure Login Setup- Specific, hard-to-crack passwords and login information can make your system safer. Server Firewall- An extra barrier of protection can help keep your data encrypted and hard to learn, even if someone does get through everything else. These are only some of the different facets that can help make your site safer, more secure, and all around better for business. 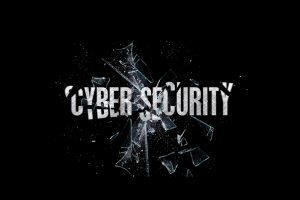 Cal Coast Web Design does offer a full range of security services for your Orange County business website. The longer you wait to update and secure your website, the less secure it is. Contact us today to get a free consultation or to answer any questions you might have! Can the Meta tags be edited on all pages? Why? Will my website be framed?